Lumbar Disc Herniation (LDH) is one of the most common spine pathologies with a worldwide distribution [1Zhou YL, Chen G, Bi DC, Chen X. Short-term clinical efficacy of percutaneous transforaminal endoscopic discectomy in treating young patients with lumbar disc herniation. J Orthop Surg Res 2018; 13(1): 61. [http://dx.doi.org/10.1186/s13018-018-0759-4] [PMID: 29558942] ] characterized mainly by low back pain (LBP) and sciatica. First line therapeutic approach includes conservative treatment with analgesics and physical therapy. 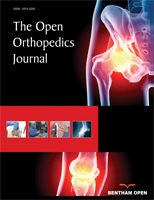 Refractory cases may warrant surgical intervention [2Kapetanakis S, Giovannopoulou E, Charitoudis G, Kazakos K. Health-related quality of life (HRQoL) following transforaminal percutaneous endoscopic discectomy (TPED) for lumbar disc herniation: A prospective cohort study - early results. J Back Musculoskeletal Rehabil 2017; 30(6): 1311-7. [http://dx.doi.org/10.3233/BMR-169702] [PMID: 28946526] ]. The main indication for surgical treatment is persistent symptomatology over 3 months of conservative therapy. Surgical intervention offers more rapid pain relief, compared to conservative management [3Kapetanakis S, Gkasdaris G, Thomaidis T, Charitoudis G, Kazakos K. Comparison of quality of life between men and women who underwent transforaminal percutaneous endoscopic discectomy for lumbar disc herniation. Int J Spine Surg 2017; 11: 28. [http://dx.doi.org/10.14444/4028] [PMID: 29372132] ]. Microdiscectomy is considered to be the gold standard method for the treatment of LDH. However, the evolution in spine surgery has led to more minimally invasive techniques such as full endoscopic discectomy (FED). This is a fairly new minimally invasive technique, introduced in the recent years, that gains ground among spine surgeons universally [4Kapetanakis S, Charitoudis G, Thomaidis T, Theodosiadis P, Papathanasiou J, Giatroudakis K. Health-related quality of life after transforaminal percutaneous endoscopic discectomy: An analysis according to the level of operation. J Craniovertebr Junction Spine 2017; 8(1): 44-9. [http://dx.doi.org/10.4103/0974-8237.199872] [PMID: 28250636] ]. According to medical literature, FED using Transforaminal Endoscopic Spine System (TESSYS) technique is associated with less soft tissue trauma and paraspinal muscles injury, reduced blood loss, shorter hospital stay, less cost of hospitalization and earlier return to daily activities [5Kapetanakis S, Giovannopoulou E, Thomaidis T, Charitoudis G, Pavlidis P, Kazakos K. Transforaminal percutaneous endoscopic discectomy in parkinson disease: Preliminary results and short review of the literature. Korean J Spine 2016; 13(3): 144-50. 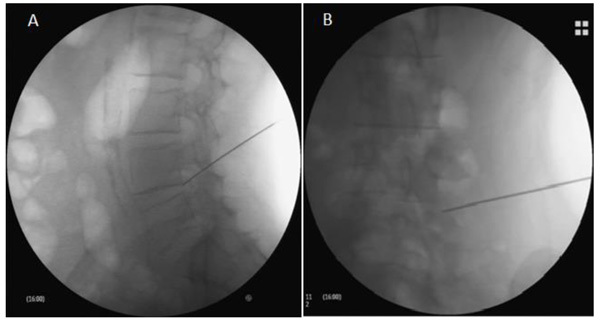 [http://dx.doi.org/10.14245/kjs.2016.13.3.144] [PMID: 27799995] , 6Mahesha K. Percutaneous endoscopic lumbar discectomy: Results of first 100 cases. Indian J Orthop 2017; 51(1): 36-42. [http://dx.doi.org/10.4103/0019-5413.197520] [PMID: 28216749] ]. In a recent study Kapetanakis et al. investigated health-related quality of life after FED using TESSYS technique, showing a significant postoperative improvement [4Kapetanakis S, Charitoudis G, Thomaidis T, Theodosiadis P, Papathanasiou J, Giatroudakis K. Health-related quality of life after transforaminal percutaneous endoscopic discectomy: An analysis according to the level of operation. J Craniovertebr Junction Spine 2017; 8(1): 44-9. [http://dx.doi.org/10.4103/0974-8237.199872] [PMID: 28250636] ]. It has been proposed that FED using TESSYS technique presents fewer complications compared to other minimal invasive techniques [7Pan Z, Ha Y, Yi S, Cao K. Efficacy of transforaminal endoscopic spine system (TESSYS) technique in treating lumbar disc herniation. Med Sci Monit 2016; 22: 530-9. [http://dx.doi.org/10.12659/MSM.894870] [PMID: 26887645] ]. More specifically, the rate of complications ranges from 2,7-3,5% in the published literature [8Tzaan WC. Transforaminal percutaneous endoscopic lumbar discectomy. Chang Gung Med J 2007; 30(3): 226-34. [PMID: 17760273] ]. These complications include incomplete decompression and recurrent disc herniation, postoperative dysesthesia, nerve root injury and dural tears, hematoma, infection and abdominal visceral injury [9Kapetanakis S, Gkantsinikoudis N, Chaniotakis C, Charitoudis G, Givissis P. Percutaneous transforaminal endoscopic discectomy for the treatment of lumbar disc herniation in obese patients: Health-related quality of life assessment in a 2-year follow-up. World Neurosurg 2018; 113: e638-49. [http://dx.doi.org/10.1016/j.wneu.2018.02.112] [PMID: 29499422] -11Gadjradj PS, Harhangi BS. Percutaneous transforaminal endoscopic discectomy for lumbar disk herniation. Clin Spine Surg 2016; 29(9): 368-71. [http://dx.doi.org/10.1097/BSD.0000000000000366] [PMID: 26945 128] ]. The aim of this article is to analyze complications associated with FED, emphasizing on the potential beneficial role of TESSYS technique in reducing their frequency. Spine surgeons should be familiar with and capable of promptly recognizing these complications, in order to improve outcomes. In this review a research of the existing medical literature during last 20 years in the English language about complications following FED for LDH was carried out. More specifically for the purpose of this mini review, a literature search of PubMed, Google Scholar and Scopus electronic databases was performed using the Medical Subject Headings (MeSH) «full endoscopic discectomy», «microdiscectomy», «minimally invasive spine surgery», «low back pain», and «lumbar disc herniation» alone or in combination with the others as keywords. All Randomized Control Trials (RCTs) including more than 20 adult patients who underwent FED or microdiscectomy for lumbar disc herniation and adequate data provided in term of complications. Experimental studies, case reports and case series as well as manuscripts in language other than English, were not included in this study. Search results yielded 15 RCTs which met the inclusion criteria set for the purpose of the present study. Full endoscopic discectomy is considered as a safe and efficient minimally invasive technique for the treatment of lumbar disk herniation. However, this modern technique is accompanied with a number of complications such as postoperative dysesthesia, nerve root injury, dural tears, postoperative hematoma, infection, vascular damage, abdominal visceral injury and recurrence of intevertebral disc herniation (Table 1). Liu X et al. conducted a study including a total of 60 patients who underwent FED for far-lateral and foraminal disc herniations and found the recurrence rate to be as high as 5,5% and the persistent strong LBP to range up to 3,7% [15Liu X, Yuan S, Tian Y, et al. Comparison of percutaneous endoscopic transforaminal discectomy, microendoscopic discectomy, and microdiscectomy for symptomatic lumbar disc herniation: Minimum 2-year follow-up results. J Neurosurg Spine 2018; 28(3): 317-25. [http://dx.doi.org/10.3171/2017.6.SPINE172] [PMID: 29303471] ]. In another study Gu et al. evaluated the safety of FED in elderly patients over 65 years old. Complications were presented only in 3 patients and included dural tear, postoperative dysesthesia due to nerve root injury and recurrence disc herniation [16Gu G, Wang C, Gu X, Zhang H, Zhao Y, He S. Percutaneous transforaminal endoscopic discectomy for adjacent segment disease after lumbar fusion in elderly patients over 65 years old. World Neurosurg 2018; 112: e830-6. [http://dx.doi.org/10.1016/j.wneu.2018.01.170] [PMID: 29408425] ]. Chen et al. accomplished an ongoing randomized controlled trial in 153 participants who suffered from lumbar disk herniation. These patients were randomly allocated in two groups who received FED and microendoscopic discectomy (MED) respectively. During 1 year of follow up, the total complication rate of FED was 13.75%. Dural tear, nerve root injury, transient dysesthesia and re-herniation were the most common complications with a percentage of 1.25%, 3.75%, 2.5% and 6.25% respectively. In this study, risk factors that led to reoperation after discectomy were also noted. These included old age, high- grade lumbar degeneration, modic changes and adjacent segment degeneration [13Chen Z, Zhang L, Dong J, et al. Percutaneous transforaminal endoscopic discectomy compared with microendoscopic discectomy for lumbar disc herniation: 1-year results of an ongoing randomized controlled trial. J Neurosurg Spine 2018; 28(3): 300-10. [http://dx.doi.org/10.3171/2017.7.SPINE161434] [PMID: 29303469] ]. In 209 patients, FED was performed by Gu et al. who recorded postoperative complications in 5 of them. Three patients complained of increased weakness of quadriceps or foot extensor. Eight months after surgery, recurrence occurred in one patient [17Gu YT, Cui Z, Shao HW, Ye Y, Gu AQ. Percutaneous transforaminal endoscopic surgery (PTES) for symptomatic lumbar disc herniation: A surgical technique, outcome, and complications in 209 consecutive cases. J Orthop Surg Res 2017; 12(1): 25. [http://dx.doi.org/10.1186/s13018-017-0524-0] [PMID: 28178992] ]. Gotecha et al. investigated the morbidity and was found in one other patient. Re-herniation of the intervertebral disc was also noted in 6 cases [18Gotecha S, Ranade D, Patil SV, et al. The role of transforaminal percutaneous endoscopic discectomy in lumbar disc herniations. J Craniovertebr Junction Spine 2016; 7(4): 217-23. [http://dx.doi.org/10.4103/0974-8237.193267] [PMID: 27891030] ]. Wu et al. emphasized on the difficulty of approach of L5-S1 level using FED. They stated that the presence of a high iliac crest, large L5 transverse process, large face joints and narrow foramen pose anatomic restrictions to this surgical approach. In fact at L5-S1 level, the rate of complications is increased [19Wu X, Fan G, Gu X, Guan X, He S. Surgical outcome of two-level transforaminal percutaneous endoscopic lumbar discectomy for far-migrated disc herniation. BioMed Res Int 2016; 2016: 4924013. [http://dx.doi.org/10.1155/2016/4924013] [PMID: 28070509] ]. The favorable outcomes of FED using TESSYS technique, at levels of L2- L3, L3- L4, L4- L5, especially for beginner spine surgeons were mentioned by Kapetanakis et al. The authors of this study underline that transforaminal approach at L5-S1 level remains controversial due to deep and steep iliac crests along with the narrow interlaminal space [2Kapetanakis S, Giovannopoulou E, Charitoudis G, Kazakos K. Health-related quality of life (HRQoL) following transforaminal percutaneous endoscopic discectomy (TPED) for lumbar disc herniation: A prospective cohort study - early results. J Back Musculoskeletal Rehabil 2017; 30(6): 1311-7. [http://dx.doi.org/10.3233/BMR-169702] [PMID: 28946526] ]. Ahn et al. investigated the clinical data of 45 patients, who underwent FED. A total of 9 patients presented with complications after FED such as poor outcome and the need for urgent open surgery, incomplete decompression, recurrent herniation, dural tear and transient dysesthesia [20Ahn Y, Lee SH, Lee JH, Kim JU, Liu WC. Transforaminal percutaneous endoscopic lumbar discectomy for upper lumbar disc herniation: Clinical outcome, prognostic factors, and technical consideration. Acta Neurochir (Wien) 2009; 151(3): 199-206. [http://dx.doi.org/10.1007/s00701-009-0204-x] [PMID: 19229467] ]. Complications following FED mentioned in 295 cases in a RCT by Kim et al. In this study, the rate of recurrent intervertebral disc was recorded equal to 6.44%. More specifically, five patients appeared with incomplete decompression, two patients experienced spondylodiscitis and three patients developed a dural tear. In order to decrease the risk of these complications a detailed assessment of preoperative CT images and the knowledge of anatomical relationships and several variations is recommended [21Kim MJ, Lee SH, Jung ES, et al. Targeted percutaneous transforaminal endoscopic diskectomy in 295 patients: Comparison with results of microscopic diskectomy. Surg Neurol 2007; 68(6): 623-31. [http://dx.doi.org/10.1016/j.surneu.2006.12.051] [PMID: 18053857] ]. Schubert and Hoogland analyzed the benefits of FED in a study with two years follow- up. This research included a total number of 558 patients and the recurrence rate was 3.6% [22Schubert M, Hoogland T. Endoscopic transforaminal nucleotomy with foraminoplasty for lumbar disk herniation. Oper Orthop Traumatol 2005; 17(6): 641-61. [http://dx.doi.org/10.1007/s00064-005-1156-9] [PMID: 16369758] ]. In a study including 100 patients, Mahesha reported the advantages of FED and investigated postoperative complications. In this study the rate of recurrent disc herniation was calculated at almost 2% [6Mahesha K. Percutaneous endoscopic lumbar discectomy: Results of first 100 cases. Indian J Orthop 2017; 51(1): 36-42. [http://dx.doi.org/10.4103/0019-5413.197520] [PMID: 28216749] ]. Interestingly, a quite rare case of a symptomatic post-discectomy pseudocyst after FED was mentioned in the literature, diagnosed at a two-months’ postoperative period12. Finally, postoperative seizures attributed to the increased epidural pressure which can lead to increased intracranial pressure, is another rare complication reported after FED [23Kertmen H, Gürer B, Yilmaz ER, Sekerci Z. Postoperative seizure following transforaminal percutaneous endoscopic lumbar discectomy. Asian J Neurosurg 2016; 11(4): 450. [http://dx.doi.org/10.4103/1793-5482.145119] [PMID: 27695562] ]. The variety of complications associated with FED for LDH reported in the medical literature as is collectively presented in Table 2. A short description, as well, of complications of microdiscectomy reported in papers published last years, is analyzed in Table 3 in order to emphasize the superiority of FED using TESSYS technique. FED using TESSYS is a minimally invasive technique in spine surgery that is performed under local anesthesia and mild sedation [29Kapetanakis S, Giovannopoulou E, Charitoudis G, Kazakos K. Transforaminal percutaneous endoscopic discectomy for lumbar disc herniation in parkinson’s disease: A case-control study. Asian Spine J 2016; 10(4): 671-7. [http://dx.doi.org/10.4184/asj.2016.10.4.671] [PMID: 27559446] ]. Patients are positioned in the lateral decubitus position, lying down on the opposite side, in order to achieve the optimal enlargement of the foraminal space. The next step is the disinfection of the surgical field. Subsequently, local anesthetic is applied at the point of entrance of the needle, which provided access to the foramen. Needle is initially 11cm laterally of the midline introduced, with the transit corridor leading to Kambin’s triangle. Fluoroscopic guidance is uninterruptedly performed during needle promotion, so that correct position can be validated (Fig. 1 ) Analgesia using fentanyl ampule and mild sedation are subsequently provided, followed by the sequential passage of specific reamers (Fig. 2 ). Reamers diameters 5.5, 6.5 and 7.5 respectively (Joimax System) are utilized. Cannula and endoscope are finally introduced (Fig. 3 ), and herniated disc material is removed by graspers (Fig. 4 ). According to the literature, FED is a safe surgical procedure with low rate of complications, that range from 2,7% to 3,5% [8Tzaan WC. Transforaminal percutaneous endoscopic lumbar discectomy. Chang Gung Med J 2007; 30(3): 226-34. [PMID: 17760273] ]. Complications of FED include postoperative dysesthesia, nerve root injury, dural tears, postoperative hematoma, infection, vascular damage, abdominal visceral injury and recurrence disc herniation [7Pan Z, Ha Y, Yi S, Cao K. Efficacy of transforaminal endoscopic spine system (TESSYS) technique in treating lumbar disc herniation. Med Sci Monit 2016; 22: 530-9. [http://dx.doi.org/10.12659/MSM.894870] [PMID: 26887645] , 8Tzaan WC. Transforaminal percutaneous endoscopic lumbar discectomy. Chang Gung Med J 2007; 30(3): 226-34. [PMID: 17760273] , 12Choi I, Ahn JO, So WS, Lee SJ, Choi IJ, Kim H. Exiting root injury in transforaminal endoscopic discectomy: Preoperative image considerations for safety. Eur Spine J 2013; 22(11): 2481-7. [http://dx.doi.org/10.1007/s00586-013-2849-7] [PMID: 23754603] , 30Ding W, Yin J, Yan T, Nong L, Xu N. Meta-analysis of percutaneous transforaminal endoscopic discectomy vs. fenestration discectomy in the treatment of lumbar disc herniation. Orthopade 2018; 47(7): 574-84. [http://dx.doi.org/10.1007/s00132-018-3528-5] [PMID: 29404628] -34Ahn Y, Kim JU, Lee BH, et al. Postoperative retroperitoneal hematoma following transforaminal percutaneous endoscopic lumbar discectomy. J Neurosurg Spine 2009; 10(6): 595-602. [http://dx.doi.org/10.3171/2009.2.SPINE08227] [PMID: 19558294] ] (Table 1). It is worth mentioning that although patients are discharged on the first postoperative day, the presence of complications may prolong the rehabilitating period. The most common complication of FED is the injury of the nerve root and the dorsal root ganglion, with an estimated incidence of 1-8,9% [32Sairyo K, Egawa H, Matsuura T, et al. State of the art: Transforaminal approach for percutaneous endoscopic lumbar discectomy under local anesthesia. J Med Invest 2014; 61(3-4): 217-25. [http://dx.doi.org/10.2152/jmi.61.217] [PMID: 25264038] ]. Postoperative dysesthesia constitutes the main clinical sign of this nerve damage. Nerve impairment is considered to be caused by two potential mechanisms [33Ahn Y. Transforaminal percutaneous endoscopic lumbar discectomy: technical tips to prevent complications. Expert Rev Med Devices 2012; 9(4): 361-6. [http://dx.doi.org/10.1586/erd.12.23] [PMID: 22905840] , 35Tezuka F, Sakai T, Abe M, et al. Anatomical considerations of the iliac crest on percutaneous endoscopic discectomy using a transforaminal approach. Spine J 2017; 17(12): 1875-80. [http://dx.doi.org/10.1016/j.spinee.2017.06.012] [PMID: 28645675] ]. Firstly, the exiting nerve root can be compressed by the cannula of the endoscope during its entrance through the intervertebral foramen. In order to overcome this obstacle, foraminoplasty may aid to enlarge the intervertebral foramen [36Henmi T, Terai T, Nagamachi A, Sairyo K. Morphometric changes of the lumbar intervertebral foramen after percutaneous endoscopic foraminoplasty under local anesthesia. J Neurol Surg A Cent Eur Neurosurg 2018; 79(1): 19-24. [http://dx.doi.org/10.1055/s-0037-1599059] [PMID: 28320029] ]. This method was successfully performed in order to insert the cannula safely, securing the nerve root. A second proposed mechanism is the direct injury by the cannula, during lidocaine infiltration of the exiting nerve root. In that case, dysesthesia or motor paresis occur early in the postoperative period [36Henmi T, Terai T, Nagamachi A, Sairyo K. Morphometric changes of the lumbar intervertebral foramen after percutaneous endoscopic foraminoplasty under local anesthesia. J Neurol Surg A Cent Eur Neurosurg 2018; 79(1): 19-24. [http://dx.doi.org/10.1055/s-0037-1599059] [PMID: 28320029] ]. Generally, the clinical sign of postoperative dysesthesia constitutes a key point to recognize any damage of nerve root [37Xin G, Shi-Sheng H, Hai-Long Z. Morphometric analysis of the YESS and TESSYS techniques of percutaneous transforaminal endoscopic lumbar discectomy. Clin Anat 2013; 26(6): 728-34. [http://dx.doi.org/10.1002/ca.22286] [PMID: 23824995] ]. Durotomy is another serious complication associated with FED [13Chen Z, Zhang L, Dong J, et al. Percutaneous transforaminal endoscopic discectomy compared with microendoscopic discectomy for lumbar disc herniation: 1-year results of an ongoing randomized controlled trial. J Neurosurg Spine 2018; 28(3): 300-10. [http://dx.doi.org/10.3171/2017.7.SPINE161434] [PMID: 29303469] , 38Tenenbaum S, Arzi H, Herman A, et al. 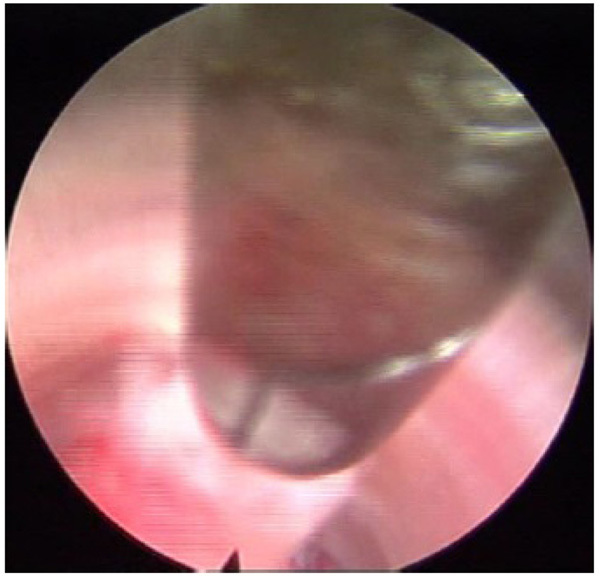 Percutaneous posterolateral transforaminal endoscopic discectomy: Clinical outcome, complications, and learning curve evaluation. Surg Technol Int 2011; 21: 278-83. [PMID: 22505002] ]. Inappropriate usage of surgical tools may cause dural tears33. In addition to this, thermal injury can similarly cause dural lesions. Dural traumatic lesions are associated with serious neurological complications [32Sairyo K, Egawa H, Matsuura T, et al. State of the art: Transforaminal approach for percutaneous endoscopic lumbar discectomy under local anesthesia. J Med Invest 2014; 61(3-4): 217-25. [http://dx.doi.org/10.2152/jmi.61.217] [PMID: 25264038] ]. These symptoms include nausea, vomiting, postural headache, photophobia and back pain [11Gadjradj PS, Harhangi BS. Percutaneous transforaminal endoscopic discectomy for lumbar disk herniation. Clin Spine Surg 2016; 29(9): 368-71. [http://dx.doi.org/10.1097/BSD.0000000000000366] [PMID: 26945 128] ]. Especially, dural tears can cause cerebrospinal fluid (CSF) leakage, leading to serious problems such as CSF fistula formation, meningitis, arachnoiditis, pseudomeningocele and epidural abscess [39Kalevski SK, Peev NA, Haritonov DG. Incidental dural tears in lumbar decompressive surgery: Incidence, causes, treatment, results. Asian J Neurosurg 2010; 5(1): 54-9. [PMID: 22028744] ]. Fortunately in the last decades, the prevalence of dural tears was decreased due to the increasing experience of spine surgeons, when performing minimal invasive techniques such as FED. All authors conclude that the key point is the prevention and the immediate recognition and treatment, in order to avoid the long-term sequelae of dural tears [40Smorgick Y, Baker KC, Herkowitz H, et al. Predisposing factors for dural tear in patients undergoing lumbar spine surgery. J Neurosurg Spine 2015; 22: 483-6. [http://dx.doi.org/10.3171/2015.1.SPINE13864] [PMID: 25700240] ]. Fluoroscopic validation and insertion of the needle at the operated level. Sequential transforaminal passage of specific reamers with diameters 5.5, 6.5 and 7.5mm respectively. The insertion of the cannula and endoscope. The usage of a grasper for the removal of herniated disc. Complications of FED as mentioned among the different studies. Incomplete decompression occurs due to the appearance of a missed fragment of herniated disc or the presence of a lateral recess stenosis compressing the nerve root [10Choi G, Pophale CS, Patel B, Uniyal P. Endoscopic spine surgery. J Korean Neurosurg Soc 2017; 60(5): 485-97. [http://dx.doi.org/10.3340/jkns.2017.0203.004] [PMID: 28881110] ]. The intrinsic difficulties of FED as a method, in relation to the absence of experience by spine surgeons can lead to incomplete decompression [41Kapetanakis S, Gkasdaris G, Angoules AG, Givissis P. Transforaminal Percutaneous Endoscopic Discectomy using Transforaminal Endoscopic Spine System technique: Pitfalls that a beginner should avoid. World J Orthop 2017; 8(12): 874-80. [http://dx.doi.org/10.5312/wjo.v8.i12.874] [PMID: 29312845] ]. Most cases concern a migrated disc herniation or a large central disc herniation that occupies a significant part of the spinal canal [33Ahn Y. Transforaminal percutaneous endoscopic lumbar discectomy: technical tips to prevent complications. Expert Rev Med Devices 2012; 9(4): 361-6. [http://dx.doi.org/10.1586/erd.12.23] [PMID: 22905840] ]. The appropriate way to avoid this complication is the sufficient knowledge of clinical anatomy, especially for the inexperienced spine surgeon. After a pain-free period, the main problem is the re-herniation of the intervertebral disc [18Gotecha S, Ranade D, Patil SV, et al. The role of transforaminal percutaneous endoscopic discectomy in lumbar disc herniations. J Craniovertebr Junction Spine 2016; 7(4): 217-23. [http://dx.doi.org/10.4103/0974-8237.193267] [PMID: 27891030] ]. The recurrence rate is similar to that of microdiscectomy and it ranges from 3 to 7% [12Choi I, Ahn JO, So WS, Lee SJ, Choi IJ, Kim H. Exiting root injury in transforaminal endoscopic discectomy: Preoperative image considerations for safety. Eur Spine J 2013; 22(11): 2481-7. [http://dx.doi.org/10.1007/s00586-013-2849-7] [PMID: 23754603] ]. The period of recurrence ranges from 3 to 18 months after the performance of spine surgery [10Choi G, Pophale CS, Patel B, Uniyal P. Endoscopic spine surgery. J Korean Neurosurg Soc 2017; 60(5): 485-97. [http://dx.doi.org/10.3340/jkns.2017.0203.004] [PMID: 28881110] , 18Gotecha S, Ranade D, Patil SV, et al. The role of transforaminal percutaneous endoscopic discectomy in lumbar disc herniations. J Craniovertebr Junction Spine 2016; 7(4): 217-23. [http://dx.doi.org/10.4103/0974-8237.193267] [PMID: 27891030] , 42Wu XB, Fan GX, Gu X, et al. Learning curves of percutaneous endoscopic lumbar discectomy in transforaminal approach at the L4/5 and L5/S1 levels: A comparative study. J Zhejiang Univ Sci B 2016; 17(7): 553-60. [http://dx.doi.org/10.1631/jzus.B1600002] [PMID: 27381732] ] The complete and careful removal of the hernia mass constitutes the optimum condition to reduce the probability of recurrence [33Ahn Y. Transforaminal percutaneous endoscopic lumbar discectomy: technical tips to prevent complications. Expert Rev Med Devices 2012; 9(4): 361-6. [http://dx.doi.org/10.1586/erd.12.23] [PMID: 22905840] ]. Infection following microdiscectomy is one of the most common complications. On the contrary, postoperative spondylodiscitis is a relatively rare complication in FED compared to traditional open procedures [33Ahn Y. Transforaminal percutaneous endoscopic lumbar discectomy: technical tips to prevent complications. Expert Rev Med Devices 2012; 9(4): 361-6. [http://dx.doi.org/10.1586/erd.12.23] [PMID: 22905840] ]. The clinical presentation of spondylodiscitis includes back pain and leg pain several days after the surgical procedure. Furthermore, inflammatory markers such as C- reactive protein, erythrocyte sedimentation rate and leucocyte count are elevated. Magnetic Resonance Imaging (MRI) is the most specific method for radiological diagnosis of spondylodiscitis [43Gouliouris T, Aliyu SH, Brown NM. Spondylodiscitis: Update on diagnosis and management 2010; 66.]. Disc punctures and tissue culture may prove necessary for the definitive bacteriological diagnosis. In case of this undesirable event, treatment of spondylodiscitis aims to eradicate the focus of infection, restore spinal functionality and relieve pain. Pharmaceutical therapy with combined antibiotics and analgesics is the gold standard therapeutic approach [44Herren C, Jung N, Pishnamaz M, et al. Spondylodiscitis: Diagnosis and Treatment Options Dtsch Arztebl Int 2017; 114: 875-82.]. A rare complication of FED is the injury of vascular structures anterior to the disc, which can lead to creation of hematoma [45Seiger A, Gadjradj PS, Harhangi BS, et al. PTED study: Design of a non-inferiority, randomised controlled trial to compare the effectiveness and cost-effectiveness of percutaneous transforaminal endoscopic discectomy (PTED) versus open microdiscectomy for patients with a symptomatic lumbar disc herniation. BMJ Open 2017; 7(12): e018230. [http://dx.doi.org/10.1136/bmjopen-2017-018230] [PMID: 29273659] ]. The radicular lumbar artery or its branches are the most vulnerable points during the transforaminal approach [46Wang Y, Ai P, Zhan G, Shen B. Lumbar artery injury during transforaminal percutaneous endoscopic lumbar discectomy: Successful treatment by emergent transcatheter arterial embolization. Ann Vasc Surg 2018; S0890-5096(18): 30475-8.]. Usually, the postoperative hemorrhage is less than 5 ml (<1-5 ml) [11Gadjradj PS, Harhangi BS. Percutaneous transforaminal endoscopic discectomy for lumbar disk herniation. Clin Spine Surg 2016; 29(9): 368-71. [http://dx.doi.org/10.1097/BSD.0000000000000366] [PMID: 26945 128] ]. In rare cases of major hemorrhage, radicular symptoms can be present. When a large retroperitoneal hematoma (>500 ml) is present, an urgent surgical evacuation is of paramount importance in order to avoid unpleasant consequences [34Ahn Y, Kim JU, Lee BH, et al. Postoperative retroperitoneal hematoma following transforaminal percutaneous endoscopic lumbar discectomy. J Neurosurg Spine 2009; 10(6): 595-602. [http://dx.doi.org/10.3171/2009.2.SPINE08227] [PMID: 19558294] ]. Another possible vascular event, the postoperative epidural hematoma is subclinical and self- limiting in the majority of cases and may also be noticed after FED [47Ahn Y, Jang IT, Kim WK. Transforaminal percutaneous endoscopic lumbar discectomy for very high-grade migrated disc herniation. Clin Neurol Neurosurg 2016; 147: 11-7. [http://dx.doi.org/10.1016/j.clineuro.2016.05.016] [PMID: 27239898] ]. Intraoperative angiography is a valuable invasive method, depicting and locating a possible damage of vascular system which can be treated by coil embolization [33Ahn Y. Transforaminal percutaneous endoscopic lumbar discectomy: technical tips to prevent complications. Expert Rev Med Devices 2012; 9(4): 361-6. [http://dx.doi.org/10.1586/erd.12.23] [PMID: 22905840] ]. Abdominal visceral injury due to FED is another relatively rare complication. Nevertheless, during the entrance of the needle, an inappropriate approach can cause the injury of the visceral peritoneum or the bowel [32Sairyo K, Egawa H, Matsuura T, et al. State of the art: Transforaminal approach for percutaneous endoscopic lumbar discectomy under local anesthesia. J Med Invest 2014; 61(3-4): 217-25. [http://dx.doi.org/10.2152/jmi.61.217] [PMID: 25264038] ]. Finally a rare albeit serious complication of FED is the traumatization of kidneys during the passage of the reamers and the cannula [31Sinkemani A, Hong X, Gao ZX, et al. Outcomes of microendoscopic discectomy and percutaneous transforaminal endoscopic discectomy for the treatment of lumbar disc herniation: A comparative retrospective study. Asian Spine J 2015; 9(6): 833-40. 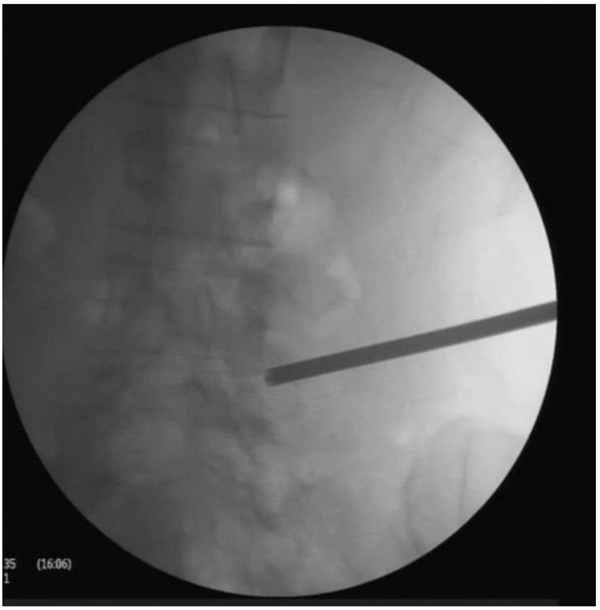 [http://dx.doi.org/10.4184/asj.2015.9.6.833] [PMID: 26713113] , 33Ahn Y. Transforaminal percutaneous endoscopic lumbar discectomy: technical tips to prevent complications. Expert Rev Med Devices 2012; 9(4): 361-6. [http://dx.doi.org/10.1586/erd.12.23] [PMID: 22905840] ]. This adverse outcome is associated with high level LDHs such as T12-L1, L1-L2 and L2-L3. In order to avoid such serious complications novice spine surgeons need to know and recognize the anatomical relationships and abnormal variations [41Kapetanakis S, Gkasdaris G, Angoules AG, Givissis P. Transforaminal Percutaneous Endoscopic Discectomy using Transforaminal Endoscopic Spine System technique: Pitfalls that a beginner should avoid. World J Orthop 2017; 8(12): 874-80. [http://dx.doi.org/10.5312/wjo.v8.i12.874] [PMID: 29312845] ]. FED is a safe minimally invasive technique in spine surgery. Advantages of FED comprise the integrity of paraspinal muscles, less soft tissue trauma, reduced perioperative blood loss, short hospital stay, less cost of hospitalization and early return to work and daily activities. Despite the existence of several advantages, a number of complications are mentioned in the published literature. The most common complications include incomplete decompression, re-herniation of intervertebral disc, postoperative dysesthesia, nerve root injury and durotomy, hematoma or hemorrhage, infection (spondylodiscitis) and abdominal visceral injury. Nevertheless, the overall rate of complications associated with FED is relatively low. The usage of TESSYS technique can lead to the reduction of devastating complications. Prevention is the key point to restrict the frequency of complications. In addition to this, the knowledge of anatomical relationships and the immediate recognition of complications aids to the optimal surgical management. Dr. Kapetanakis is a reference doctor for joimax® GmbH and receives payments for teaching. The other authors declare that they have no conflict of interests. Gouliouris T, Aliyu SH, Brown NM. Spondylodiscitis: Update on diagnosis and management 2010; 66. Herren C, Jung N, Pishnamaz M, et al. Spondylodiscitis: Diagnosis and Treatment Options Dtsch Arztebl Int 2017; 114: 875-82. Wang Y, Ai P, Zhan G, Shen B. Lumbar artery injury during transforaminal percutaneous endoscopic lumbar discectomy: Successful treatment by emergent transcatheter arterial embolization. Ann Vasc Surg 2018; S0890-5096(18): 30475-8.